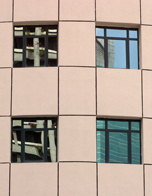 Strange reflections in mirrored windows on a Kuala Lumpur office block. 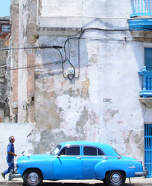 An old blue car in a Cuban street. 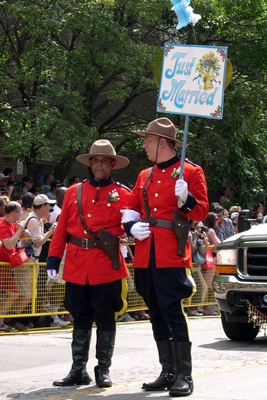 Two men in Mountie uniforms in a gay pride parade, one holding a 'Just Married' sign. 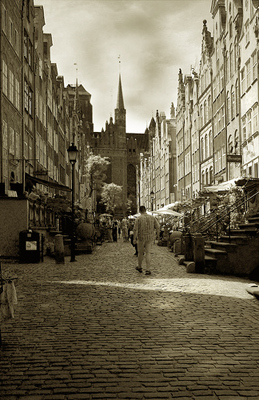 A cobbled street in Gdansk, Poland leads up to a building with a spire. 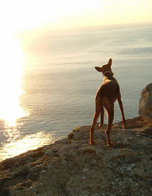 Peppa the Kelb tal Fenek (Malta's national dog breed) gazes out to sea and the setting sun on the island of Gozo.